The hymn Trust and Obey is one many of us know and love. It is a sweet song with profound truth that our families would be blessed to know! It can be a beautiful way to teach your kids about trusting and obeying God, and a wonderful addition to your family worship. 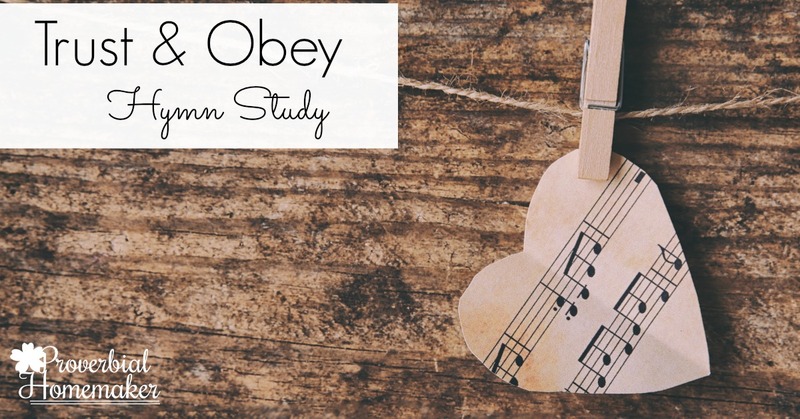 This Trust and Obey hymn study was created with all that in mind! Daniel B. Towner, the music director for the Moody Bible Institute, was present at the meeting. He was so struck by the young man’s words that he jotted them down. 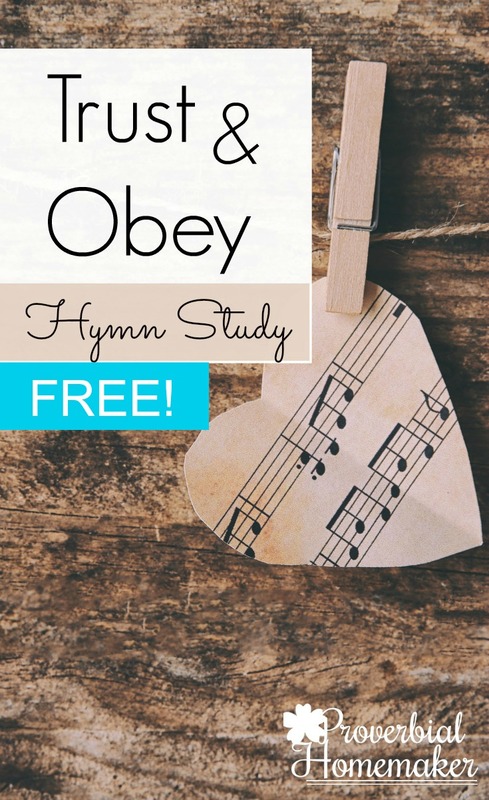 With the help of Sammis, who wrote the lyrics, he soon composed the music to the hymn we now know as “Trust and Obey” (or “When We Walk With the Lord”). 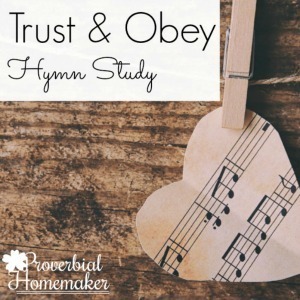 We used the Trust and Obey hymn study as a part of our own family’s extensive study on obedience. 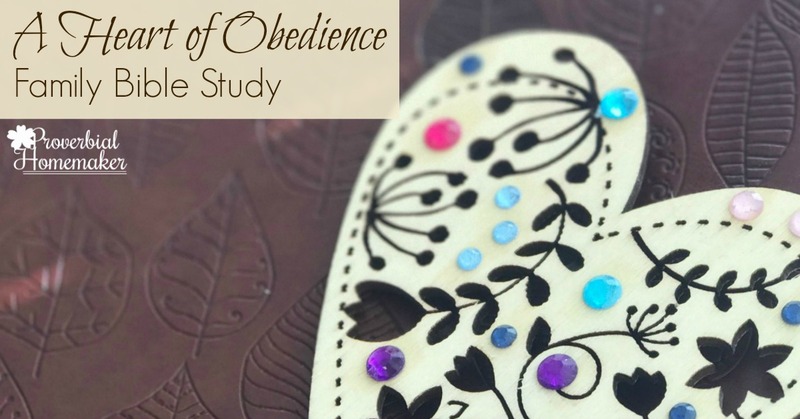 If you’d like a more in-depth obedience study with parenting tips and teaching activities, check out the Heart of Obedience family Bible study! It includes 60+ pages of in-depth study and tips for teaching your kids obedience! I’m excited about this, Tauna! I think I’m going to add it to our Morning Basket. Thanks so much! Thank you so much!! I am going to use it in morning a basket also!